Genetic testing has become very popular lately, with companies like 23andMe popularizing at-home DNA testing kits. Many people are choosing to get their DNA tested to learn more about their heritage, but DNA testing can also provide you with interesting information about your genetic background and what sort of diseases run in your family. Knowing which conditions you are prone to can be very helpful, because it allows you to take the requisite preventative healthcare measures to stay healthy. However, there are many concerns that getting a genetic test done could increase your life insurance premiums, depending on what your results are. Here’s everything you need to know about genetic testing and life insurance. Unfortunately, genetic testing could raise your life insurance premiums in some cases. Life insurance companies want to know as much about your health as possible when determining what to charge you. Their reasoning is that if you are more prone to potentially life-threatening health problems, they are more likely to have to pay out a claim. The entire basis for life insurance is that life insurance companies can quantify the rate at which people will die based upon their health. With a big enough pool of insured people, the insurance company will experience reliable death rates and overall they will collect more money in premiums than they pay out in claims. In order to classify people according to their risk of death, they asses health factors through medical records, a questionnaire, and sometimes a paramedical exam. Based upon the results, they assign people into a risk class, such as standard or preferred. The better the health rating assigned to the person, the lower their premium payments will be for their age. Now that genetic testing is a reality in our world, it can provide another source of medical data for the life insurance company to use to assess risk. 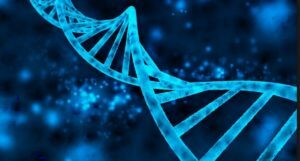 Genetic testing could indicate the odds that a person will develop a serious disease in the future. If markers are present for certain neurological disorders such as Parkinson’s, or enough high risk cardiovascular genes, the insurance company may decline the policy or assign it to a lower risk class. Right now, genetic testing is relatively new and insurance companies are just beginning to incorporate it into their risk assessment models. It may become more of a priority in the future, and life insurance companies may even require it one day! If you are worried about your life insurance premiums going up, it’s best to avoid getting a genetic test. You never know what sort of genetic information the test could unearth, and it’s better to be safe than sorry when you are on a budget. You may be wondering – isn’t raising premiums on the basis of genetic testing discrimination? Surprisingly, it technically isn’t. There are laws on the books right now that protect against using genetic testing to determine health insurance premiums or to discriminate against employment. However, there aren’t any laws right now that address genetic testing and life insurance. While not all companies use genetic testing as a factor when determining life insurance rates, most actuaries will at least ask you about your history of genetic testing when you are applying for life insurance. Keep in mind that even if you don’t disclose your genetic testing results to your insurance company, they could find them through your doctor. It’s best to be honest about your genetic testing history when searching for an insurance company. Being dishonest on a life insurance application may result in a denial of a death claim to your beneficiaries later. If you work with an insurance professional, they may be able to help you find a solution to high premiums. You can also compare life insurance quotes with a tool like ours at Life Ant. While it’s becoming more common for life insurance companies to look into the genetic testing history of their clients, it’s actually quite a problematic practice that many people are hoping to fix. Some companies are considering making genetic testing a requirement for their clients, which is likely to result in significant push-back. Even if you carry the genes for a very serious medical condition, it’s very rare for those conditions to actually come to light. Testing actually allows patients to be healthier and manage their health more effectively – something that should be rewarded, not punished. If you have already received genetic testing and are worried about how it could affect your life insurance rates, be sure to shop around to different life insurance companies. Every company has their own definitions of classifying risks, so what might be an issue for one company might not even factor into your premium somewhere else. Maintain healthy habits to reduce your risk of being overcharged or denied for coverage. If you maintain a healthy weight, see the doctor often, and practice healthy diet and exercise habits, your premiums should be lower. It’s also important to remember that genetic testing laws might change soon – in the future, companies may not be able to consider genetic testing results when determining premiums. It’s important to consider all of the pros and cons of genetic testing before ordering an at-home kit. Although it might seem like just a fun way to learn about your history, it can cause emotional stress if you aren’t ready for the results. For example, you might find out upsetting things about your ancestry and your family that you didn’t know, or you might find out that you are prone to a genetic condition that could be life-threatening. For many people, it’s best just not to know. Keep in mind that genetic counseling is often available to those who have taken a genetic test, and it’s worth taking advantage of. Genetic counseling can help you make sense of your results and process them in a healthy way. Genetic testing is still very new, so it will be interesting to see how things change as it becomes more accessible and more commonplace. If you are worried about how it may affect your insurance premiums, the best thing you can do is just stay informed. Knowing the current rules and regulations and how they can affect your premiums is the best way to make sure you aren’t blindsided.